Ms Jamela A Ali, Attorney at Law - Admitted to practise as an Attorney-at-Law before the Courts of Guyana on the 12 October 1989 following in the footsteps of her late father M. Muntaz Ali, Barrister at Law/ Attorney at Law. Ms. Jamela A. Ali was a leading Advocate in Public Law at the Attorney General’s Chambers, Guyana while holding various positions as State Counsel, Senior Legal Adviser, Principal Legal Adviser in the Advice and Litigation Section and Principal Parliamentary Counsel during the period 1 November 1989 to April 2002. Click here for duties at AG's Chambers. Ms. Jamela A. Ali is presently a lead Trial Attorney at Law at the Guyana Bar for over 29 years. Legal services include Contract law, Mining Law & Agreements, Oil & Gas, Property matters, Trademarks, Adoption of Children, Divorces, Probates of Wills and Administration, Money Claims, Formation of Companies and Mediation. Jamela has made several lead Court appearances at the Caribbean Court of Justice (CCJ), the Court of Appeal of the Supreme Court of Judicature, Full Court, High Court, Commercial, Constitutional and Administrative Divisions, Land Court and Magistrate Courts. Through her diverse background in litigation, arbitration and mediation, she has gained a wealth of knowledge and understanding of the Law and how to apply this effectively to her clients' needs to guide them to the solution best suited to them, which may be litigation or providing unique and innovative insight in practicing litigation avoidance by strategising and negotiating. Jamela is the Founder of Guyana Oil & Gas Consultancy (GOGCO), a company that provides services for businesses seeking services relating to the huge oil discovery in Guyana. Click here for views of clients! 2003 to 2019. Ms. Jamela A. Ali is considered one of the lead Mediators appointed by the Supreme Court of Guyana and provides mediation services for the settlement of disputes. She wrote several Articles on Mediaton and Alternative Dispute Resolution. Jamela is the Founder of Mediation Services International (MSI), a private Mediation Services provider and training institution for Guyana and internationally. She is a Director and Past President of the Mediation Institute of Guyana Inc.(now defunct*). As President, she initiated and managed the successful hosting of the first International Mediation Conference in Guyana. Presenters included Justice Vasheist Kokaram of Trinidad, Carl Singh, former Chancellor (ag) of Guyana and Jamela A. Ali, Attorney at Law/Mediator. Jamela A. Ali as International Arbitrator - Member of the Chartered Institute of Arbitrators, London and awarded the Advanced Certificate in International Arbitration. 2007 to 2019. 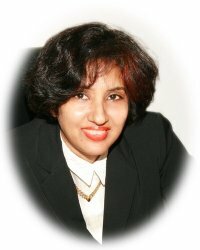 Ms. Jamela A. Ali is an Intellectual Property Agent (Trademarks & Patents) in Guyana. Services offered include Searches, Registration of Local and International Trade Marks, Assignments, Renewals, Change of Names and Addresses and Oppositions. 1997 to 2019. Ms. Jamela A. Ali holds a Masters of Laws degree in Legislative Drafting which included the Public Law courses of Constitutional and Administrative Law and wrote several Articles. Services are provided with regard to the drafting and review of legislation. 8 September 2014 - 2019 - appointed as a Public Notary for Guyana in the County of Demerara. Master of Laws (LL.M.) Legislative Drafting degree - University of the West Indies, Barbados, 1996 - 1997. The degree included Public Law courses of Constitutional Law and Administrative Law. Produced a LL.M. Research Paper on “The Role of Parliamentary Counsel and Legislative Drafting in Guyana: A Critique” (22,327 words) Cave Hill Library, University of the West Indies, Barbados. Research Paper written on Legislative Drafting, Parliamentary Counsel, Statute Law Revision, Consolidation of Laws, Law Reform, Constitution, Natural Justice, and Good Administration. Ms. Jamela A. Ali has written on Adoption of Children, Constitutional law, Administrative Law - Duty to Give Reasons, Human Rights, Legislative Drafting, Law Revision, Legal Practitioners Committee and Mediation, which have been published in the New Guyana Bar Review, Caribbean Law Review, Guyana Chronicle, Stabroek News newspapers, the Al Bayan and on websites. For list of publications click here. Ms Jamela A. Ali has delivered speeches on Constitutional Law Reform, Legislative Drafting, Human Rights, Mediation and the Judicial/Legal Process and Family and Matrimonial laws relating to Children and Women. For list of speeches, click here. Ms Jamela A. Ali has appeared on National Television to discuss legal matters on Constitutional Law, Interpretation of Statutes, Elections law and Mediation. The founder of Rafina Solicitors, holds a First Class Honours Degree in Law. She was admitted to the British Bar in 1986 and later re-qualified as a Solicitor in 1990. She was also admitted to the Bar in Guyana, South America. Rafina has been able to offer her clients the benefit of her business experience by offering both a pragmatic approach to problem solving combined with a legal solution. Her ability to assimilate information given and find an effective solution is her unique selling point. Rafina has been working in a varied legal environment since the commencement of the practice in 1993. Her sphere of experience ranges from dealing with clients at all levels each with their particular and different legal issues. Her main focus is on the commercial and corporate clientele where she is best suited. Most recently Rafina has become an Accredited Mediator, offering mediation services for clients who wish to resolve disputes out of court. Rafina is a well known and respected business woman in the community. She has demonstrated her ability to take on the challenge of leading a team of legal professionals into the millennium, by ensuring that they themselves are ready to face this challenge. Jamela A Ali, Attorney at Law providing legal services for over 29 years. Contact person: Ms. Jamela A Ali, LLB(Hons)(UWI), LEC, LLM(Legislative Drafting), MCIArb. *MIG is not functioning, no annual meeting has been held since 2013.